Inspired by the famous Brazillian star Neymar Jr, this bag comes with its own class and flair, enjoy the Nike Neymar Football Backpack. 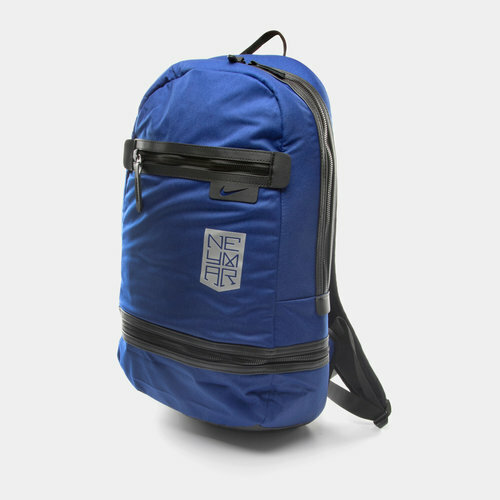 As part of the latest Neymar Jr range, packed full of practical features including 1 large zipped compartment and another smaller one for all of the essentials. In a vibrant deep royal blue, black and metallic colourway, catching the eye and looking stylish.